This entry was posted in Latest Headlines on May 4, 2018 by Nicola Charleton. The Engineering Construction Industry is at the forefront of the fourth industrial revolution. Large new projects and rapidly changing technologies, from artificial intelligence to advanced robotics, are driving a need for the best in skills. With this in mind the Engineering Construction Industry Training Board (ECITB) has commissioned Pye Tait Consulting to carry out major research examining current and future employment demand, the characteristics of the engineering construction workforce, and the skills shortages and gaps experienced by employers. A critical focus of the work will be technological change and what this will mean for future job roles and skills. This entry was posted in Latest Headlines on April 24, 2018 by Nicola Charleton. How are UK schools coping with the challenge of the computing curriculum? That’s the question The Royal Society set Pye Tait in 2016. Our survey, case studies and extensive discussions reveal evidence from UK schools on the state of computing education today. This is an especially important topic in England given the mandatory introduction of computational thinking and coding to be taught to pupils from age 5. Our report now forms part of The Royal Society’s After the Reboot – Computing Education in UK Schools. There are wide variations in levels of favourability to the new computing curriculum in England, as well as the amount of financial and non-financial investment in equipment, teaching resources and staff professional development. The Royal Society calls on Government and industry for a substantial increase in funding to expand and provide more professional development. This entry was posted in Latest Headlines on November 10, 2017 by Nicola Charleton. Archiving is a vital requirement of modern society. Like every other specialism, however, it must continually adapt to new opportunities and challenges, and particularly to the pace of digital change. We are pleased to be working with The National Archives to research and create a new Workforce Development Strategy for the archives sector. It will be designed to foster a flexible, skilled and confident workforce and help provide clarity on career entry, progression and training routes, including the knowledge and skills important both now and in the future. This entry was posted in Latest Headlines on October 31, 2017 by Nicola Charleton. How do England’s secondary schools and sixth form colleges measure up to Gatsby’s draft benchmarks for ‘Good Practical Science’? The Gatsby Charitable Foundation asked us to find out and to try to understand how senior staff interpret and use the benchmarks. The survey, of senior contacts and heads of science in schools and colleges, achieved over 400 completions – a solid sample of ten percent of secondary schools in England. The results were supported by twenty in-depth interviews. All data were comprehensively analysed to determine trends between school types and statistical tests ascertained significance. Our analysis and reporting of the survey constitutes Appendix 4* of Gatsby’s Good Practical Science report. The full report and appendices are at: www.gatsby.org.uk/GoodPracticalScience. This entry was posted in Latest Headlines on October 30, 2017 by Nicola Charleton. Coming soon…! Our report for the Royal Society is due to be officially launched on 10th November. We will tweet a link to it once it’s been published. The report After the Reboot, explores how computing education is being taught in UK schools. This entry was posted in Latest Headlines on October 26, 2017 by Nicola Charleton. Ofqual, the qualifications and examinations regulator, has published Pye Tait’s pilot study report investigating employers’ perceptions, confidence, and use of a range of qualifications and assessments. The first survey of its kind for Ofqual, it helps to increase Ofqual’s understanding of what employers think about the qualifications they use when making decisions about who to hire, which training to invest in, and what business impact they expect to see from staff who achieve those qualifications. Our approach comprised a telephone and online survey of over 2,000 employers in England, spanning all industry sectors, organisation sizes, and all nine geographic regions. We also carried out 40 depth telephone interviews to obtain more detailed feedback. Ofqual intends to run further studies to build up a longitudinal view of the extent to which employers have confidence in vocational and technical qualifications. The final report along with the data annex are available here. This entry was posted in Latest Headlines on July 19, 2017 by Nicola Charleton. Opening up internal discussion about next steps for legal services, Associate Director Jennifer Brennan presented the findings at the Bar Standards Board’s (BSB)* knowledge sharing session on 12th July. The full report on how the provision of legal services is evolving was recently published. Pye Tait Consulting was commissioned to find out about the range of different approaches used by barristers to deliver legal services, how they receive instructions, and to understand how delivery of legal services may change in the future. The work has provided the BSB with an evidence base to enable them to assess the risks and benefits associated with different approaches used by barristers to deliver legal services. The research used a mixed-method approach, collecting and analysing primary and secondary sources of qualitative and quantitative data via desk-based research, a consultation workshop, an online survey of organisations involved in delivering or facilitating legal services by barristers, and in-depth telephone interviews. 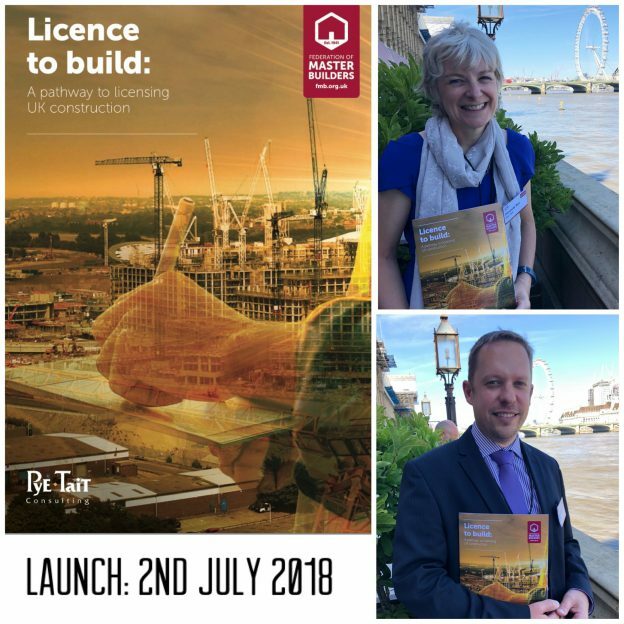 Our report is available to download here. (*) The Bar Standards Board (BSB) is the regulator of barristers, their professional practice and specialised legal services businesses in England and Wales. This entry was posted in Latest Headlines on July 14, 2017 by Nicola Charleton.